The markets in the Italian city of Florence are full of Pinocchio puppets and marionettes because the author of the Pinocchio story lived there. 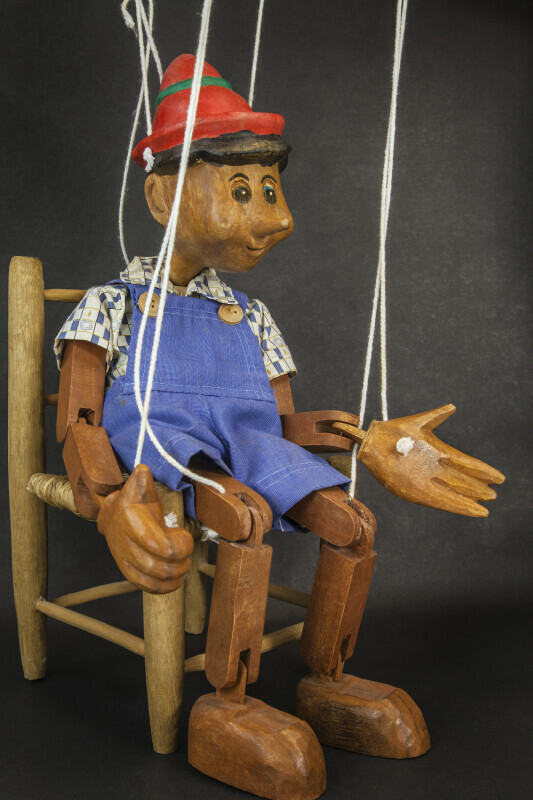 This photo shows a large wood Pinocchio stringed marionette sitting in a wooden chair. The strings at his hands and knees are clearly visible. This figure stands 18 inches (46 cm) tall.